As far too many people know and, for reasons that defy logic, seem to care, Tiger Woods and Elin Nordegren have divorced after the world found out that Tiger had cheated on her with a laundry list of men and women. Apparently Elin Nordegren had a problem with being married to a serial pervert. Of course, one of society’s biggest “concerns” was what the divorce settlement would be. So far there are no firm details about how much Tiger is actually going to end up paying for the skanks, whores, and “male escorts” he frequented for years, but some rumors are available. This is how I feel about the state of the government most times these days. It’s funny and depressing at the same time. Are We There Yet? Is It November Yet? Can we just get to the 2010 Congressional Midterm Elections, kick these jackasses out of office, and maybe, just maybe, get on with the business of restoring some measure or vestige of sanity to America? What do you get when you combine beautiful, talented women from Australia, England, and Wales? In this case you get the hottest string quartet to hit the charts in history, bond. The string quartet, specializing in classical cross-over music, currently consists of Tania Davis from Australia, Eos Chater from Wales, and Elspeth Hanson and Gay-Yee Westerhoff from England. Above is the video for their new single, Fuego from their album, Shine . 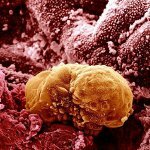 On Monday, August 23, 2010 a US federal judge blocked the Obama administration from funding human embryonic stem cell research via the National Institutes of Health (NHS). The court ruled that the President Obama’s planned financial support Human Embryonic Stem Cell (HESC) research violates an existing� federal law barring the use of taxpayer money for experiments that destroy human embryos. So much for President Obama March 9, 2009 Executive Order 13505, with which he supposedly tried to fund the practice with taxpayer money. U.S. District Judge Royce C. Lamberth issued a preliminary injunction that prohibits the National Institutes of Health from funding the research under the administration’s new guidelines, citing an appeals court’s ruling that the researchers who had challenged the less-restrictive policy have the legal standing to pursue their lawsuit. The decision, a setback for one of the administration’s most high-profile scientific policies, was praised by opponents of the research. The preliminary injunction will, if some vestige of the laws of America still exist, be followed with a final ruling that permanently blocks Obama’s directive. This is not because HESC research is wrong but because a President’s Executive Orders do not overrule the laws as created by the Congress and, therefor he cannot approve such funding when a law explicitly prohibits it. In Aesop fable of The Ant and the Grasshopper a grasshopper spends the warm months singing and idling while the ant worked hard to store up food for long, cold winter. When winter arrives, the grasshopper finds itself dying of hunger, and upon asking the ant for food and shelter, is rejected and castigated for its idleness and sloth. Soon the grasshopper dies of cold and hunger. The story was once used to teach the virtues of hard work and saving, and the perils of laziness and improvidence. CBS, NBC , PBS, NPR, CNN, and ABC show up to provide pictures of the shivering grasshopper next to a video of the ant in his comfortable home with a table filled with food. America is stunned by the sharp contrast. Then Rev. Jeremiah Wright has the group kneel down to pray for the grasshopper�s sake, demanding that they must kill any God that did not damn this ant. President Obama condemns the ant and blames President Bush, President Reagan, Christopher Columbus, and the Pope for the grasshopper�s plight. Nancy Pelosi & Harry Reid exclaim in an interview with Larry King that the ant has gotten rich off the back of the grasshopper, and both call for an immediate tax hike on the ant to make him pay his fair share. Finally, the EEOC drafts the Economic Equity & Anti-Grasshopper Act, making it retroactive to the beginning of the summer. The story ends as we see the grasshopper and his free-loading friends finishing up the last bits of the ant�s food while the government house he is in, which, as you recall, just happens to be the ant�s old house, rumbles around them because the grasshopper doesn�t maintain it. The entire Nation collapses bringing down the rest of the free world with it, and in some dark, but suddenly nearer Hell Pazuzu smiles. Be careful how you vote in 2010 and 2012.